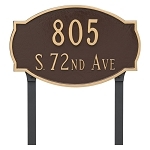 The size of the letters and numbers on this address plaque ensures that it is viewable from the street. 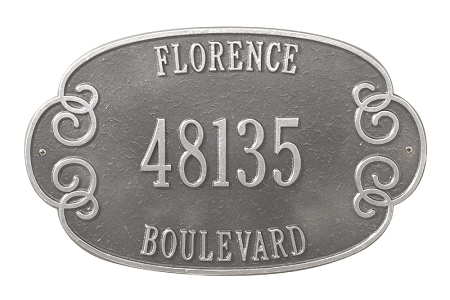 This beautiful decorative address plaque is hand crafted of rust-free recycled aluminum. 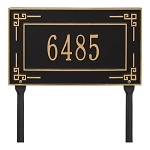 This address plaque is designed to be mounted on a wall. All hardware is provided. 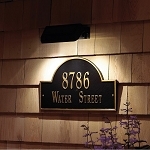 The finish has been specially formulated to withstand temperature extremes.